This study examines how Japanese policy toward Middle East security issues is shaped by the need to both maintain Japan’s security alliance with the US and its oil relationship with states in the Middle East. Yukiko Miyagi introduces the historic roots of Japan’s policy, and then focuses on the major contemporary cases – the Iraq war, the Iranian nuclear crisis, and the Arab-Israeli conflict, to expose and explain how clashing interests and dilemmas were negotiated to arrive at policy outcomes. The author also sheds light on the utility of mainstream International Relations theories for understanding Japan’s behaviour. How do we understand the policy of a self-declared ‘anti-militarist’ state forced to operate in a realist world and for whom energy supplies are a matter of vital national security? This study shows how neither realism nor its rivals, such as constructivism, can wholly explain Japan’s behaviour and suggests a theoretical framework for doing so. 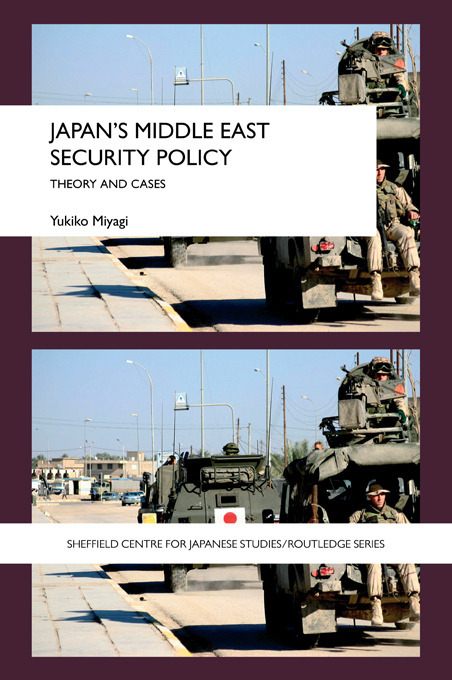 Filling a major gap in our understanding of an increasingly important area of study Japan’s Middle East Security Policy is an essential read for those interested in Japan’s International Relations, Middle East politics, security studies and foreign policy.